We all know mobile gaming is big business, but it’s quite mesmerizing to watch how much each of the most popular mobile games makes every second. Music Magpie has put together an interactive chart of how much games are making each second – using data from Think Gaming - and the most successful app is unsurprisingly Pokémon Go. 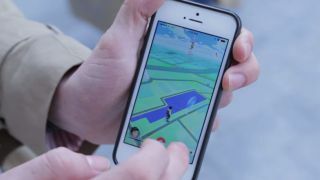 Pokémon Go makes an incredible £506 ($617, AU$823) in five minutes while Clash of Clans makes £458 ($558, AU$745) and Candy Crush Saga £413 ($503, AU$672). Other big titles on the list include Game of War – Fire Age, Mobile Strike, Clash Royale and Candy Crush Soda Saga. That’s a lot of money every minute. Real Madrid footballer Cristiano Ronaldo makes around £181 ($220, AU$294) in five minutes, which is less than Clash Royale makes in the same amount of time. What's worth noting is this is only earnings from each of these games; it may be Pokémon Go isn't the most profitable option in the list when you take into account outgoing expenses. You can watch the fascinating graphic for yourself at Music Magpie.